This was one of the first freebie books I picked up at New York Comic Con. It came in a box with a small art print. There was so much going on that day that I didn’t think much of it. Until I got back to my room and noticed the name of the author: Neil Patrick Harris. He is an awesome and hilarious actor and part of me knew, hidden in the back of my mind, that he was a great magician too. Not to mention he is known to be an awesome father. 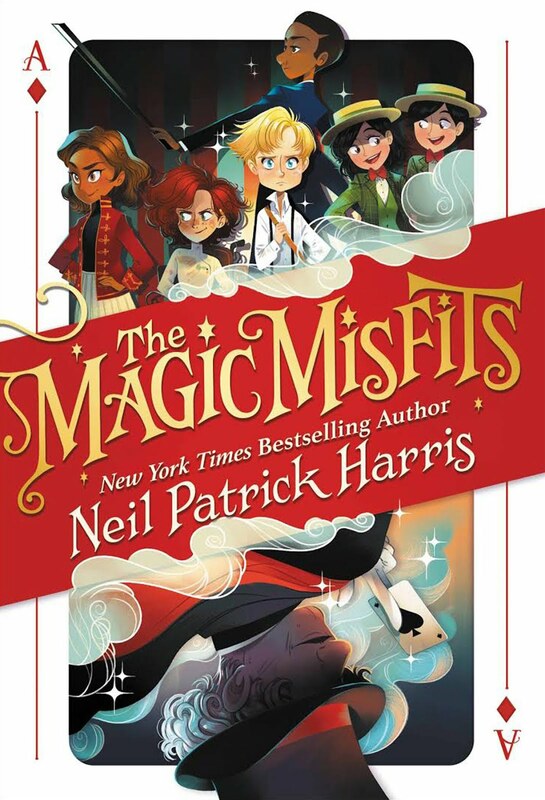 In short, Neil Patrick Harris is the perfect person to write a middle-grade novel like this. When street magician Carter runs away, he never expects to find friends and magic in a sleepy New England town. But like any good trick, things change instantly as greedy B.B. Bosso and his crew of crooked carnies arrives to steal anything and everything they can get their sticky fingers on. After a fateful encounter with the local purveyor of illusion, Dante Vernon, Carter teams up with five other like-minded kids. Together, using both teamwork and magic, they'll set out to save the town of Mineral Wells from Bosso's villainous clutches. These six Magic Misfits will soon discover adventure, friendship, and their own self-worth in this delightful new series. I read this book in one day. That’s how much I loved it. I didn’t just read it on the train I read it while walking to and from the train stations. It was a blast from page to page and I couldn’t put it down. The characters were hilarious, the story was intriguing, I even spent a few minutes going through the table of contents. The backbone of this book was its characters. Carter, a tragic protagonist, was raised to use magic for crime by his uncle. They bump from one horrible temporary living situation to the next. When Carter runs away he wanders into a town an encounters a cavalcade of carnival characters. The villains are a cooky band of carnival crooks each with their own shtick as well. The villains seem to be influenced by the author's time on A Series of Unfortunate Events. 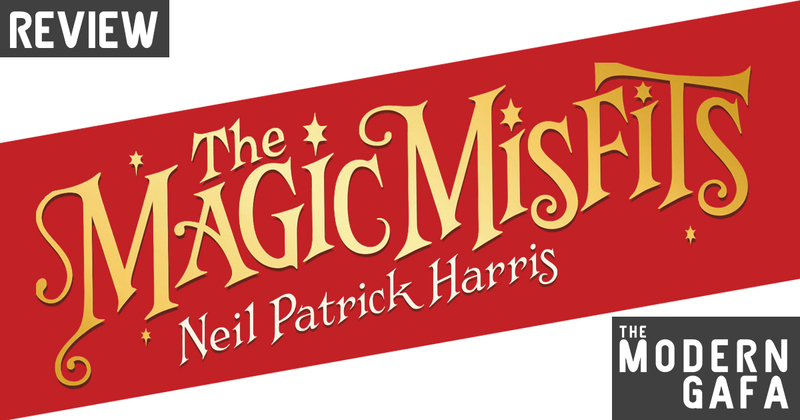 The rest of the cast is filled with young magicians in training who each specialize in a different type of illusion. The reader will keep wanting one of his new friends to take him in so he doesn’t have to sleep on a bench again. One of the kids also has two dads, so A+ for that. The presentation of this book was almost as enjoyable as the story itself. Even in this unfinished review copy, there were extra bits of comedy thrown into the production design. The titles of each individual chapter were all hilarious references to the chapter numbers themselves. There is no thirteenth chapter either, just a brief warning about how unlucky the number thirteen is. Every few chapters or so there is also a detailed explanation on how to do a simple magic trick. This is one of the best books I’ve read all year. I’m already dreading the time until the sequel comes out. I’m even ready for the animated adaptation (Maybe it’s the cover art, but I can see Laika pulling this one off really well.) It was a magical adventure that not only left me feeling good, it left me wanting more. -Get your copy of The Magic Misfits here.